"Automotive Service Centre, Gadget Service Centre, Telco Service Centre, Appliances Service Centre...". 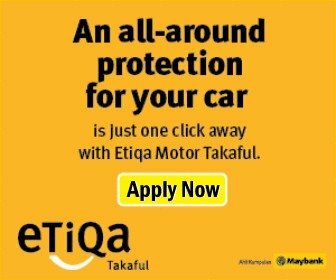 Need to send your car to the nearest service centres? Whether it is a Audi, BMW, Citroen or Datsun, you can find them all here. Wanted to switch to another telco provider? Check out the nearest outlet near you. Need to send your smartphone, tab, or pad for repair or warranty claim? Find out the authorised service centres for respective brands. Air-cond, washing machines, printers, refrigerator, coffee machines as well as other home appliances. This site is dedicated to make searching for respective service centres easier. Be it official service centre for your vehicle regular servicing or you are hunting for the appliances service centre to send for warranty claim, you should be able to find them here. As we regularly update this site to offer the latest information, we encourage your participation and feedback. If you have been to any of the service centres listed here, but find the information out-dated, please drop us an email so that we can have it updated for the benefits of all. If you find any information out of date, let us know so that we can update them. Copyright © 2019 Malaysia Service Center 服务维修中心. Proudly powered by WordPress	& Corporate Business WordPress Theme by Dinozoom.com.